It's official, now that it's hit E3: Yo-kai Watch 2: Bony Spirits and Fleshy Bones will be debuting on September 30. We already knew Nintendo planned on launching both and splitting the games into two releases, but now that it's hit E3 it just feels a whole lot more real. 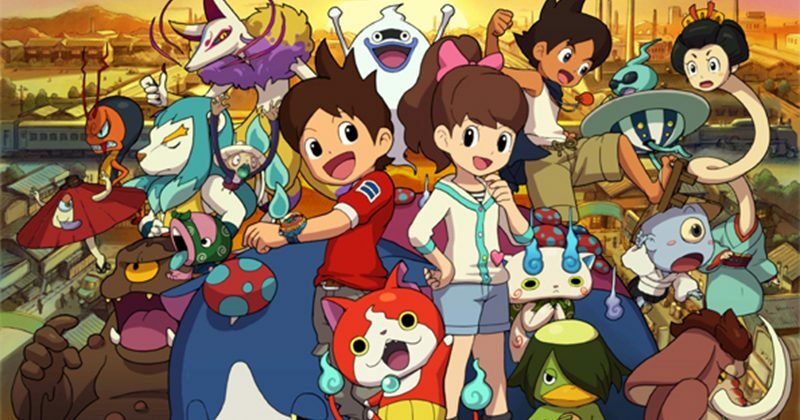 Yo-kai Watch 2, from Level-5, will feature additional areas outside of the town of Springdale to explore, 100 new Yo-kai, a new and improved Yo-kai Watch, and time-traveling abilities that will be essential to the game. There's a new two-player multiplayer battle mode as well as special Yo-kai that are specific to each version of the game. If you played the original Yo-kai watch as well, there are three special monsters you'll get by transferring the original data: Buchinyan, Noko, or Komasan. There's also a special new Yo-kai Watch toy coming out alongside the game which you can actually use Yo-kai Watch Yo-Motion medals with. You can scan the codes on the back of the medals for in-game content like new monsters, items and other collectibles. Sounds like it's a pretty awesome time to be a Yo-kai fan.